9x19mm Luger (aka 9mm Parabellum, 9mm NATO, 9mm) is by far the most popular handgun cartridge in the world today! 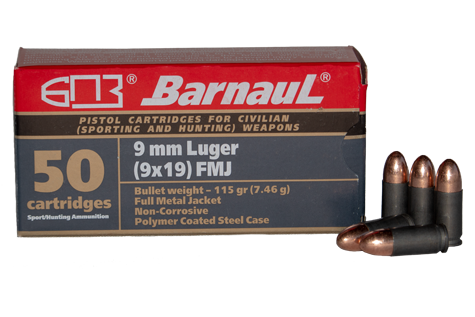 The 9x19mm Luger has served militaries and shooters for 100 years. 9mm has been proven over and over as a competent self-defense/duty cartridge in full size pistols and higher-capacity compact pistols.